Two communications satellites rode an Ariane 5 rocket into space Saturday — one to beam down ultra-sharp television programming into millions of American homes and another craft to give Indian citizens expanded access to information technology. The dual-payload blastoff occurred at 3:40 p.m. EST (2040 GMT; 5:40 p.m. local time) from the Ariane 5’s ELA-3 launch pad at the Guiana Space Center, a European-run spaceport nestled on the northern coast of South America. The DirecTV 14 and GSAT 16 satellites were mounted inside the Ariane 5’s bullet-shaped nose cone. Running two days late after unacceptable high-altitude winds kept the rocket grounded since Thursday, the Ariane 5 launcher was fueled with super-cold liquid hydrogen and liquid oxygen Saturday as clocks smoothly ticked toward liftoff time. A hydrogen-fueled Vulcain 2 main engine ignited, ramped up to full power and passed a computer-controlled health check before two massive solid rocket boosters fired to force the Ariane 5 rocket into the sky. The Ariane 5 quickly rocketed through scattered low clouds, sending a wave of sound across the tropical spaceport as tracking cameras followed the launcher arcing east from French Guiana. The rocket shed the two used-up solid rocket boosters and its aerodynamic nose shroud a few minutes after liftoff, then the core stage gave way to an upper stage HM7B engine for a 16-minute firing to put the mission’s two satellite passengers into orbit. DirecTV separated from the rocket first, followed by release of the Ariane 5’s tandem payload adapter system to make way for the deployment of GSAT 16, which rode in the launcher’s lower berth. 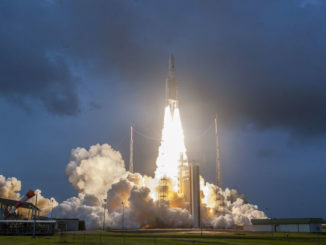 The flight marked the 63rd consecutive success for the Ariane 5 rocket, a workhorse launcher that hauls commercial telecom satellites and Europe’s biggest scientific missions into space. “This dual mission to geostationary transfer orbit is the very symbol of Arianespace’s capacity to address the entire span of satellite communications operators,” said Stephane Israel, chairman and CEO of Arianespace, the French company that operates Ariane 5, Soyuz and Vega rockets in French Guiana. 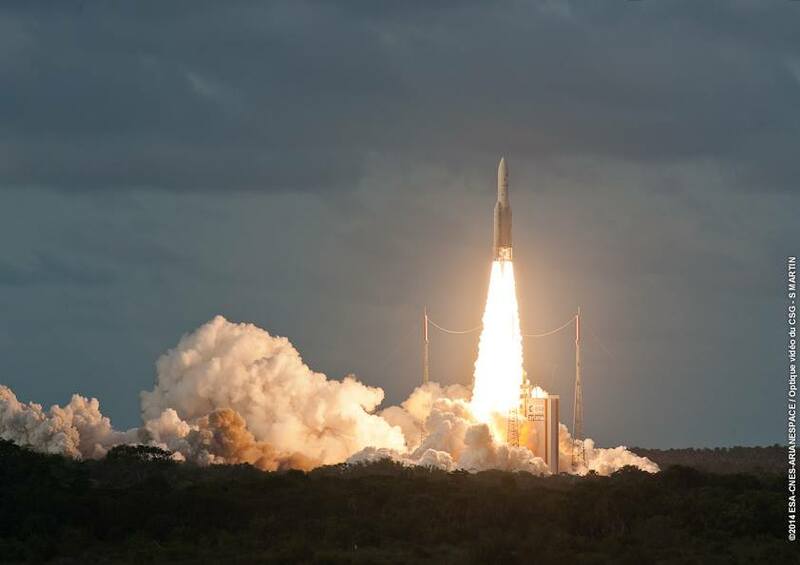 According to data released by Arianespace, the Ariane 5 rocket put its payloads in an on-target orbit with a low point of 155 miles, a high point 22,325 miles, and an inclination of 5.99 degrees. DirecTV 14 is on track to enter service early next year, and officials said the 13,887-pound satellite was programmed to extend its power-generating solar arrays shortly after launch before firing its on-board rocket thruster several times over the next week to reach a circular orbit 22,300 miles over the equator. Once on station at a test location, the craft will unfurl four dish-shaped antennas before drifting to a permanent slot in geostationary orbit at 99 degrees west longitude. 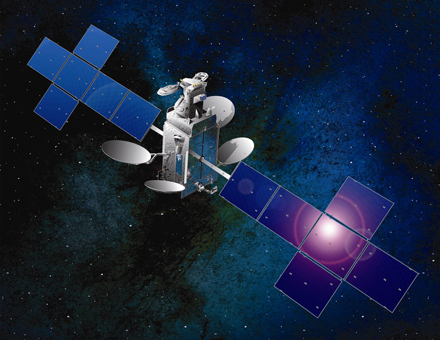 Built by Space Systems/Loral of Palo Alto, Calif., DirecTV 14 will pioneer a new communications band to broadcast television channels to DirecTV subscribers with greater clarity than previously possible. Saturday’s launch was key to DirecTV’s foray into 4K Ultra HD television technology. For subscribers equipped with Ultra HD televisions, broadcasts from DirecTV 14 will come with four times as many pixels as a 1080p high-definition signal. DirecTV began Ultra HD broadcasts in November, but the capacity aboard DirecTV 14 will drastically grow the company’s offering. The advancement translates to improved resolution and color fidelity, plus options for a higher number of frames per second, according to a technical backgrounder released by the International Telecommunications Union. The satellite carries 16 Ka-band transponders and 18 transponders in the so-called “reverse band” which is normally used to transmit signals from Earth into space. Regulators have freed the reverse band for use in downlink communications, opening up opportunities to use the untapped spectrum commercially. DirecTV 14 is designed to last at least 15 years in space providing television to customers across the continental United States, Hawaii, Alaska and Puerto Rico. 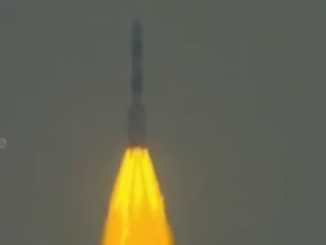 The GSAT 16 communications satellite carried into orbit Saturday is beginning a 12-year mission to reduce India’s reliance on leased transponders aboard foreign telecom spacecraft. 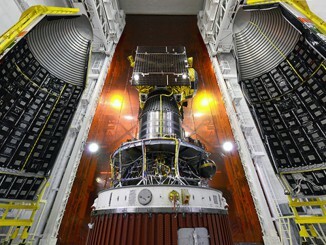 The 7,014-pound satellite features 12 Ku-band and 36 C-band transponders — including 12 “extended” C-band transponders. The telecom payload aboard GSAT 16 has more capacity than any communications ever built in India. Built by the Indian Space Research Organization, the spacecraft will fortify India’s fleet of government-owned communications satellites to supply television and other communications services to the Indian public. 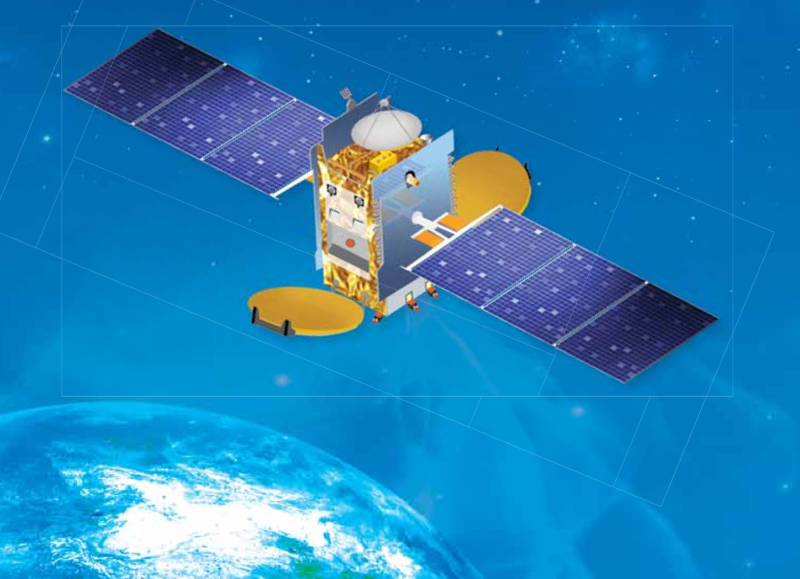 GSAT 16’s mission cost about $140 million, according to the Hindu newspaper in India, including the costs of the spacecraft, the launch and insurance. After raising its orbit, GSAT 16 will fly to an operating position at 55 degrees east longitude 22,300 miles over the equator. Its coverage zone will extend across the Indian subcontinent, according to ISRO. S.K. Shivakumar, director of the ISRO Satellite Center, said ground controllers established contact with the GSAT 16 satellite shortly after launch. “That gives us a good start for us to go ahead and start the rest of the operations,” Shivakumar said in post-launch remarks. GSAT 16’s solar panels and antennas will be deployed in the next few weeks, with officials aiming to declare the satellite operational before the end of the year.